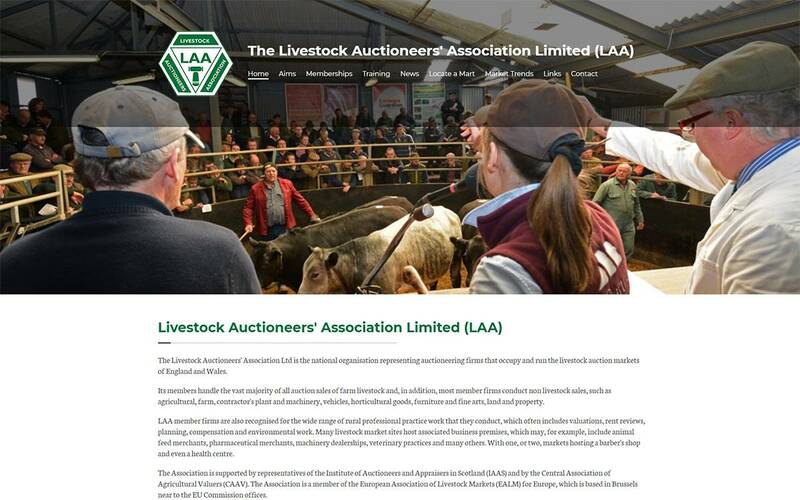 The Livestock Auctioneers' Association Ltd is the national organisation representing auctioneering firms that occupy and run the livestock auction markets of England and Wales. 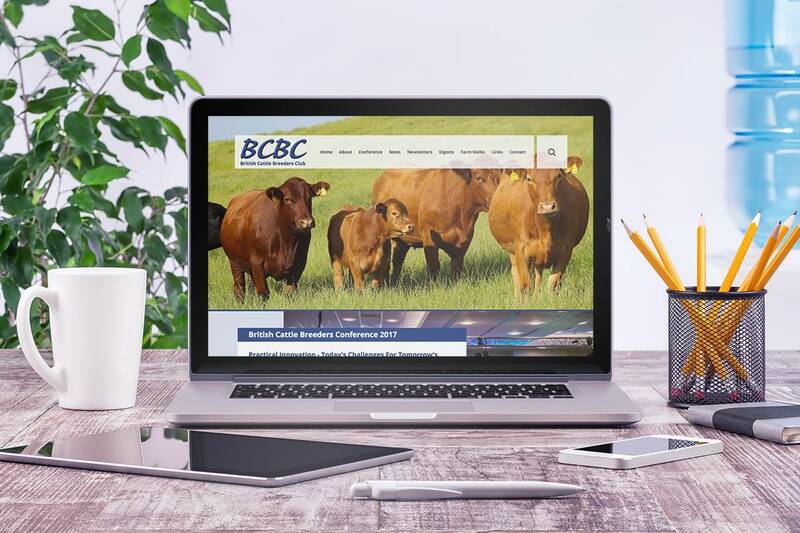 Its members handle the vast majority of all auction sales of farm livestock and, in addition, most member firms conduct non livestock sales, such as agricultural, farm, contractor's plant and machinery, vehicles, horticultural goods, furniture and fine arts, land and property. 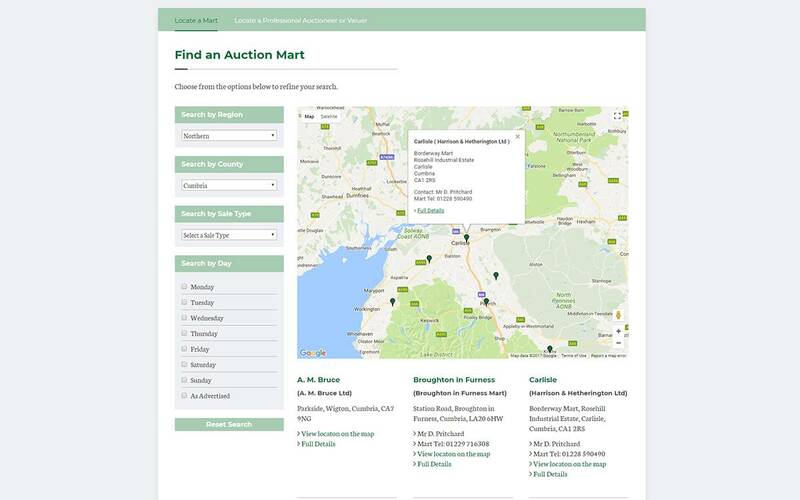 This website has been built as an industry resource to provide the latest news, trends and information from auction markets throughout England and Wales. 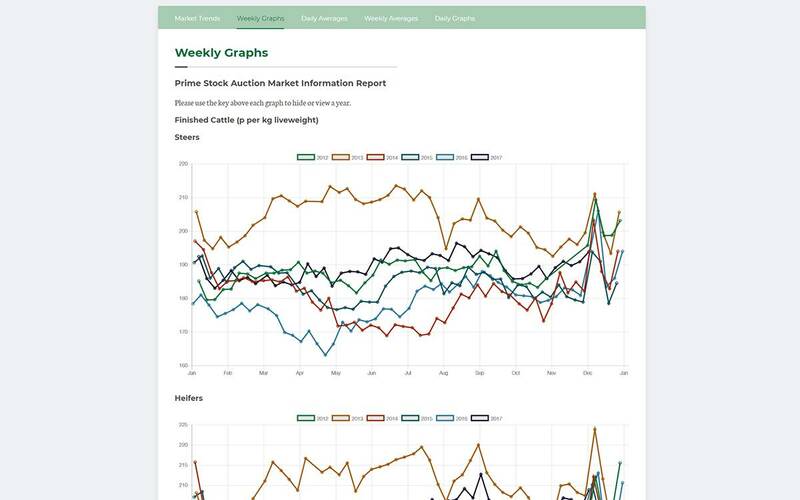 A key function of this site is to provide users with the latest market trends, in order to acheive this an external data source is linked to the website, which then graphs the most recent figures from weekly steer averages to daily finished lamb prices. 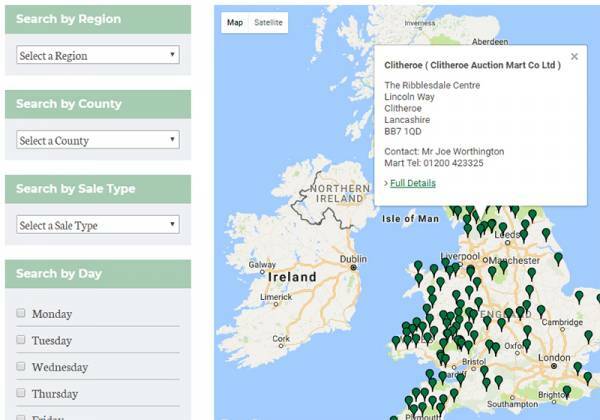 Auction marts stored in the website database are displayed on a Google Map with a custom search facility to filter the results. 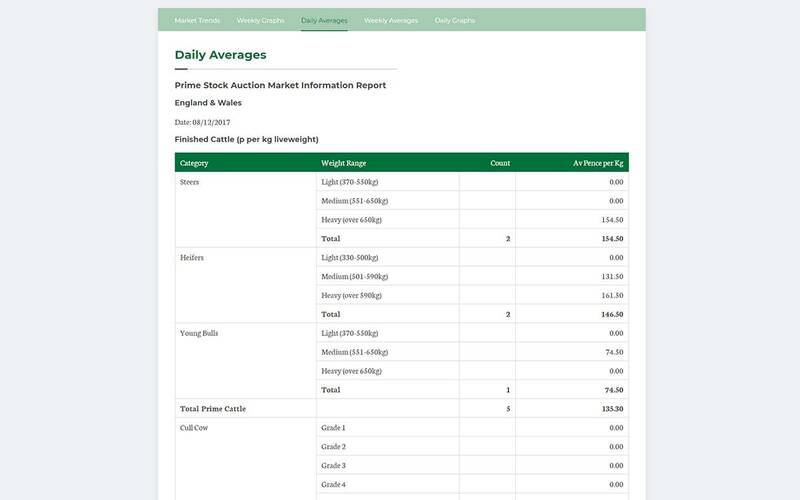 Auction mart sale data from an external resource is connected to the website in order to populate the daily and weekly averages tables. 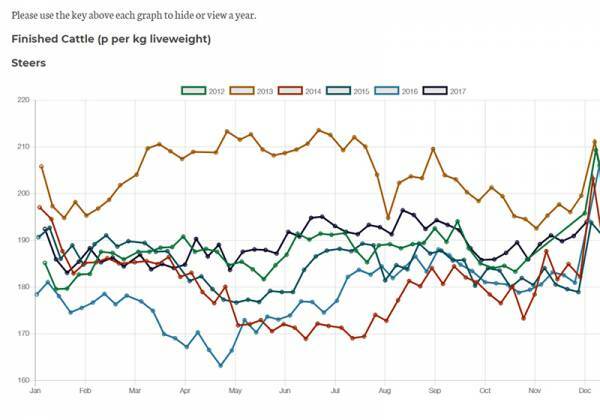 External data for the weekly and daily averages is also plotted onto a series of line charts over several years to show the market trends. 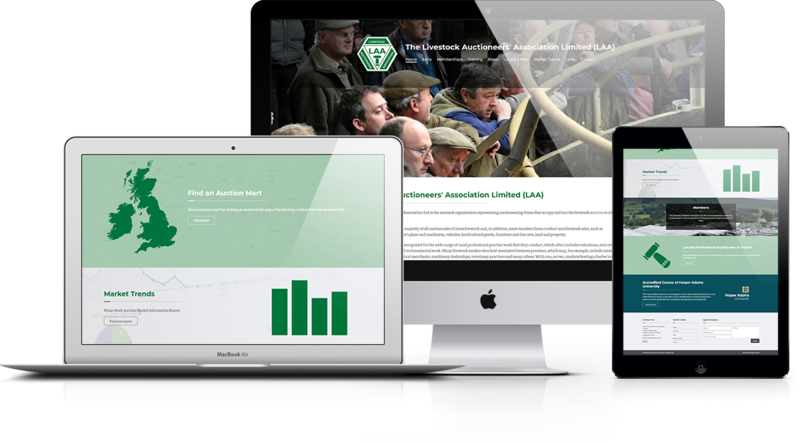 The LAA website is intended to provide an auction mart industry resource, providing latest news and market data derived from dynamic linked sources. 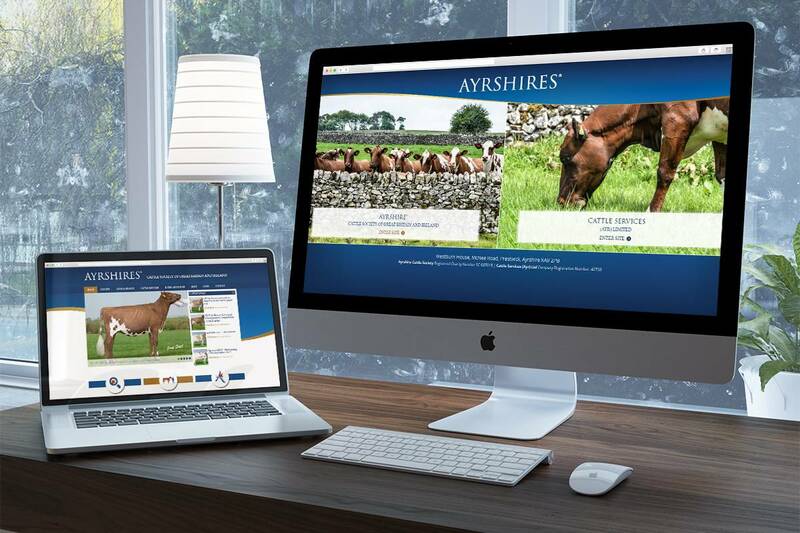 In the design we requested that the site should provide a fully interactive auction mart map search facility, by region, county, sale type and sale day and that it was easy to navigate. 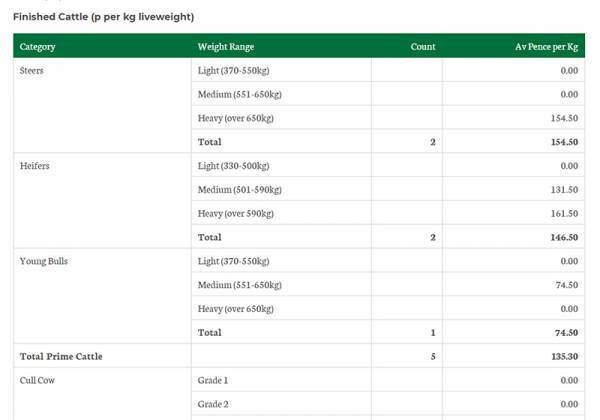 I find that the site is easy to update and that it has a suitably powerful content management system. I am very pleased with the updated website developed and delivered by Dotcom Associates.